Switzerland – Lake Lucerne. Beautiful and full of opportunities for everyone. Well known for its fjord-like feel and its beautiful surroundings, Lake Lucerne has stunning mountains which allow groups to spend a great amount of time outdoors whilst the weather is mild. A boat trip by either motor boat or historic paddle steamer in what is Europe’s largest inland navigation system is simply a must for your group. 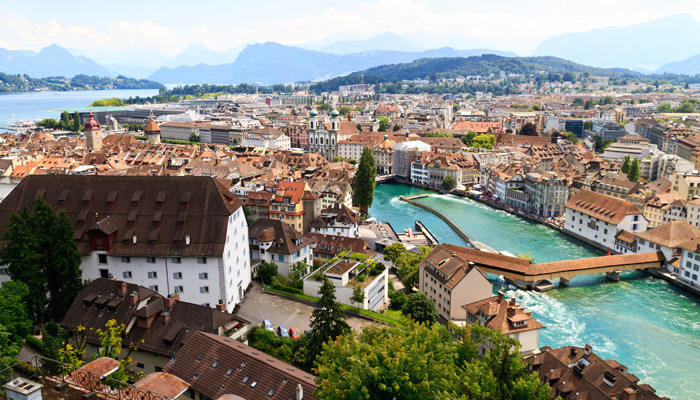 The city of Lucerne is worth a trip all of its own. Take stroll down the Chapel Bridge – a symbol of Lucerne and the oldest covered footbridge in Europe – and enjoy the city’s unique festivals, which include a broad cultural and music programme for all. And to top it off, a great hostel too. After an eventful day, the Lucerne Youth Hostel is an ideal and inexpensive option for overnight accommodation and board. As well as spacious communal areas, the 206-room hostel offers modern and functional rooms with two to six beds. Click here for more information about this ‘great for groups’ hostel!